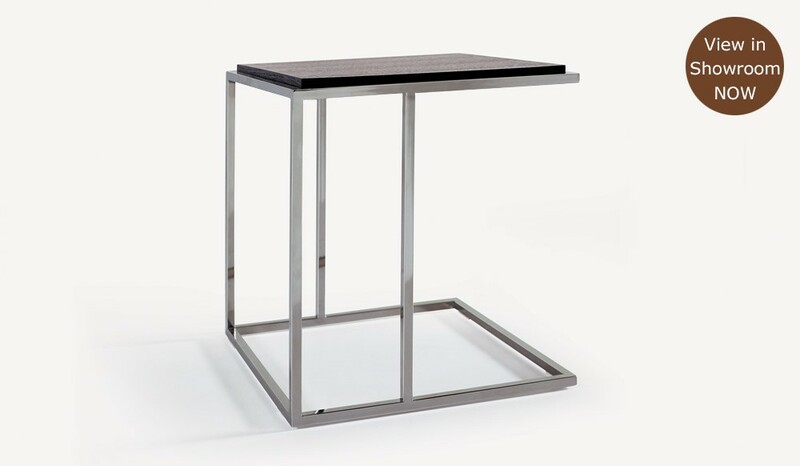 Stylish and contemporary side table, with a rectangular design that fits into any modern family home. Made with durable materials and made to last in any busy home or environment.A modern slide under side under sofa side table which over reaches the edge of your sofa to provide an extremely convenient tables for drinks etc. Perfect to tuck away under your sofa or armchair. Use as a side table or bedside. High quality dark brown oak table top.